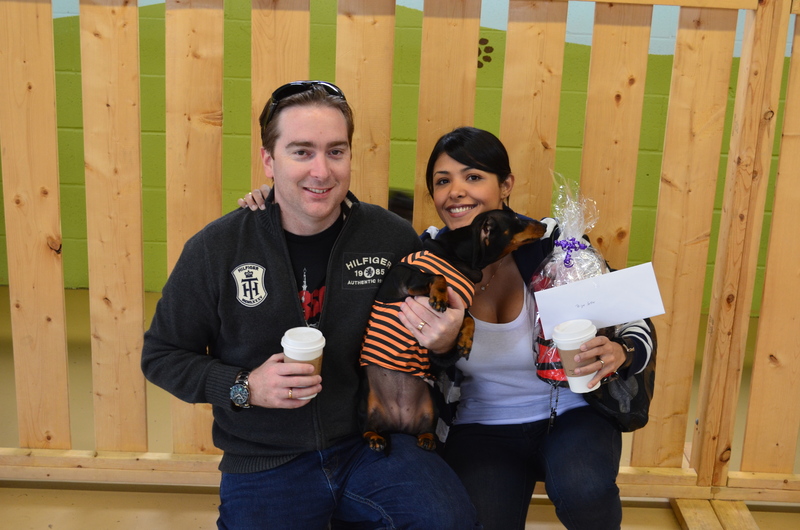 In our effort to support and raise awareness on behalf of the Etobicoke Humane Society, we would like to thank everyone who came out on Saturday October 22nd for our Howl-o-ween Party. 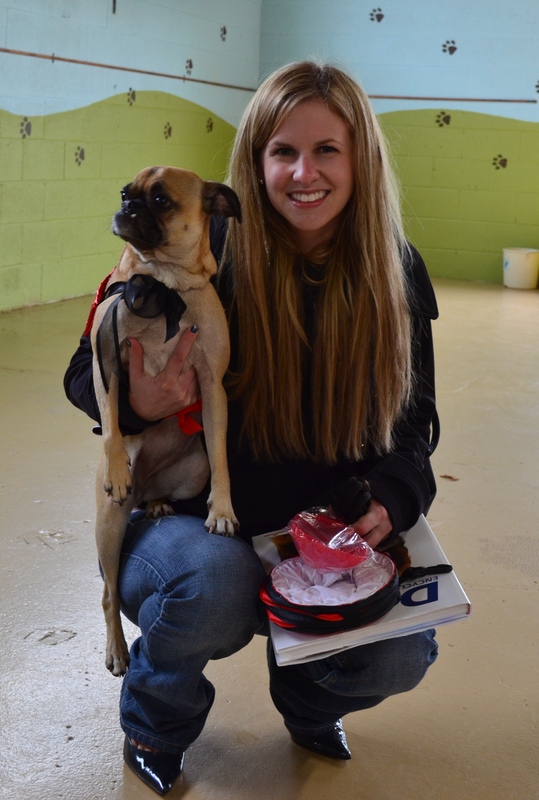 From your participation and additional contributions, we were able to raise over $270 in proceeds. 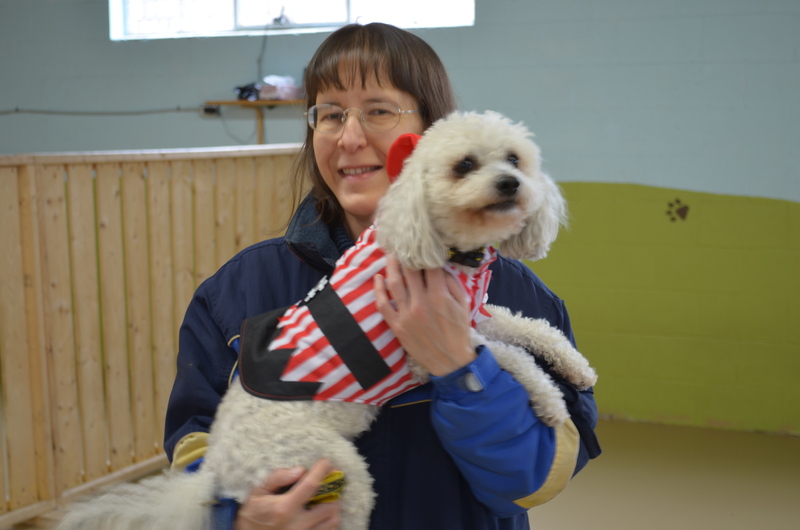 As a close neighbour, the Etobicoke Humane Society does a great job and is committed to rescuing injured, abused and abandoned animals. We hope this will help in their work with animals. Our volunteers and staff members were a big help, donating their time and putting up decorations. 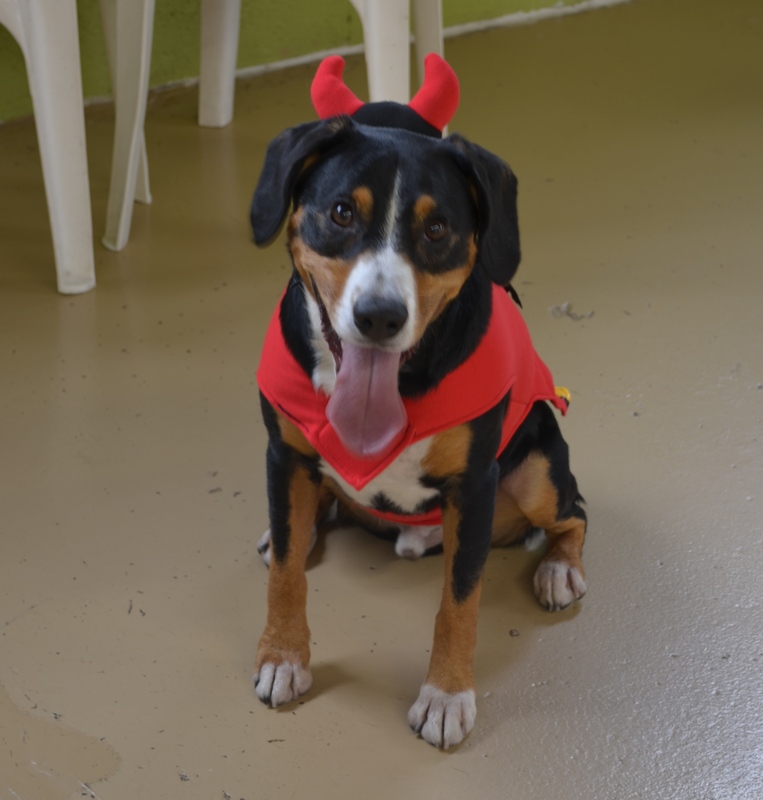 For those who weren’t able to attend, the dogs had a devilish time showing off their creative costumes in our Doggie Halloween Parade. 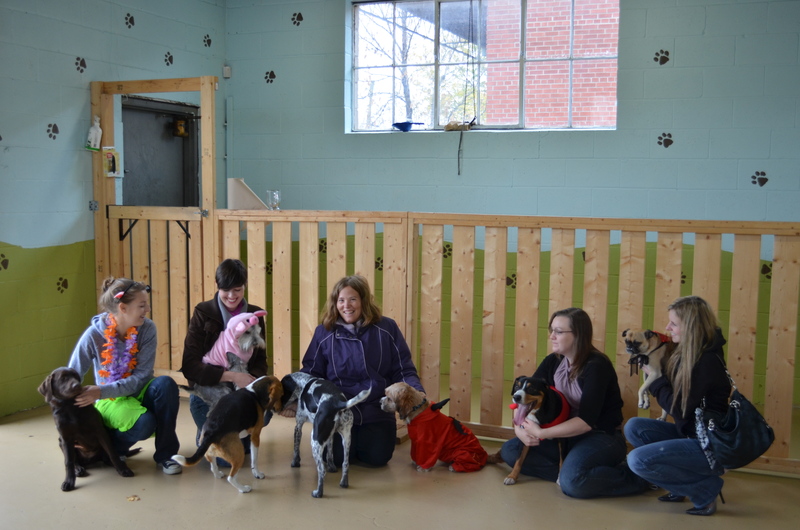 The dogs had Free Play Time where they got a chance to meet new furry friends. 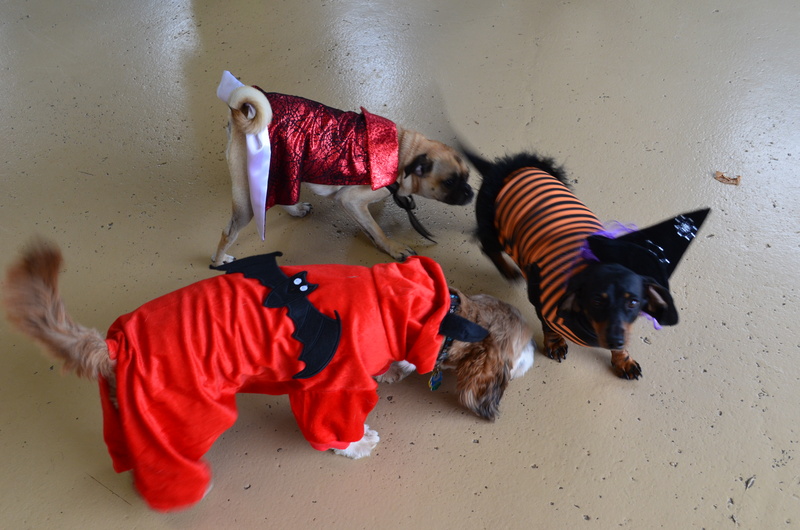 Charlie, Sophie, and Victoria showing off their costumes! And participate in a little friendly competition by dressing up for the occasion. 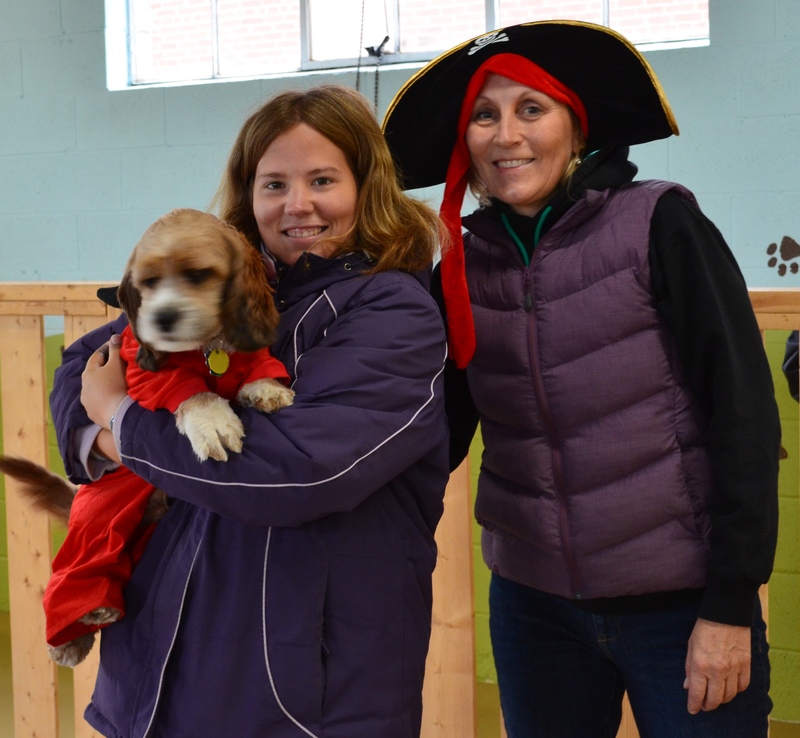 Our Doggie Costume Contest was a great success! with appearances from scary Dracula to a cute little pig. What scary horns you have! I’m sure the judges had a difficult time deciding…. 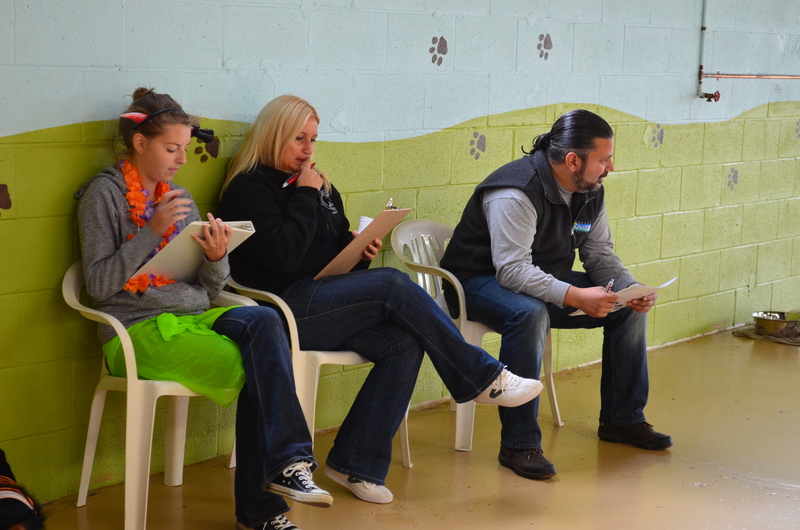 Our judges hard at work! 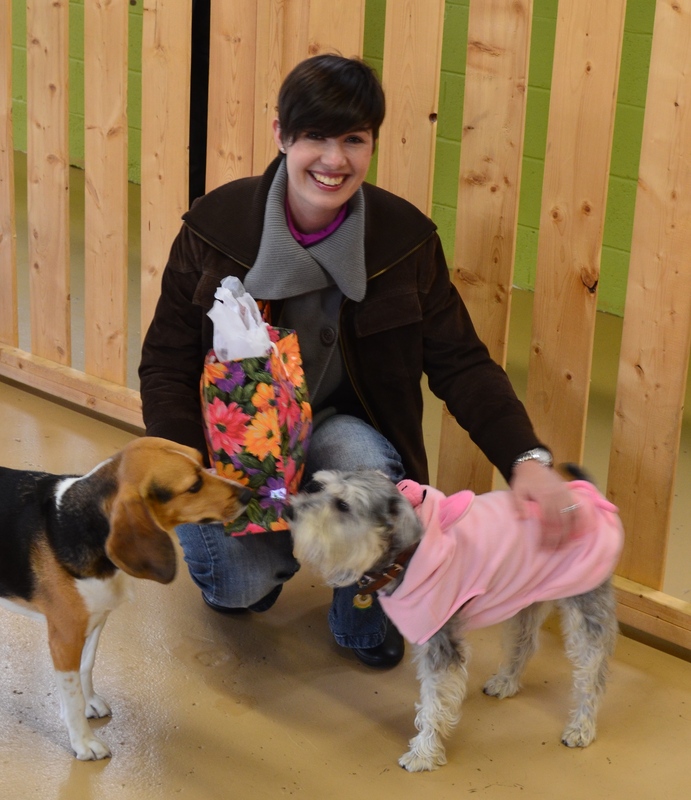 Some of our doggie contestants…. Sophie, our fierce little witch! Rummin's the cutest little piglet! 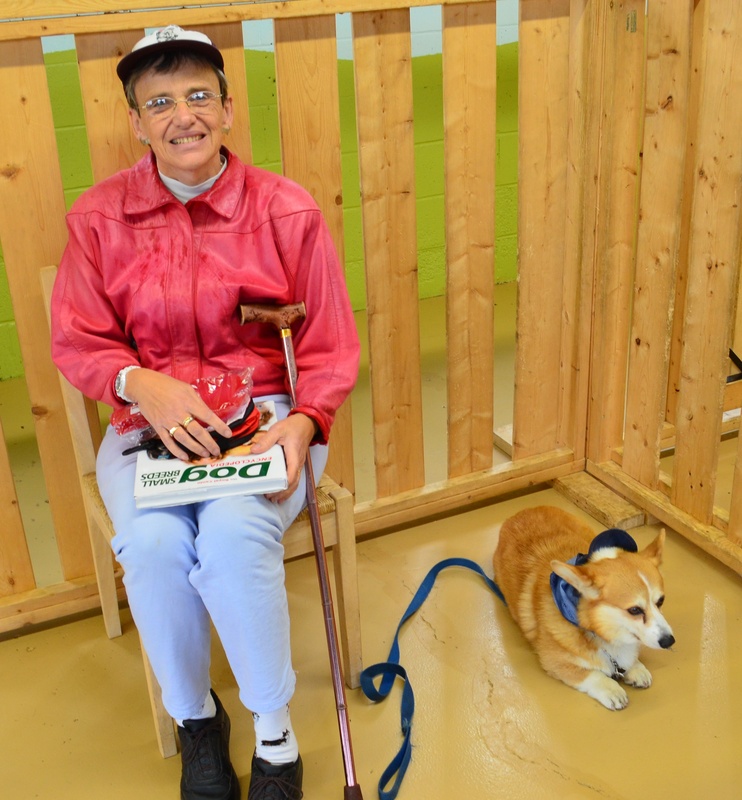 Congratulations to everyone who participated, and a special congratulations to Milo who won 1st place for best costume. Milo our 1st place winner! Although it was a tough decision, everyone walked away a winner! Thanks to Royal Canin for supplying the doggie prizes. Thanks again! and Happy Howl-o-ween! 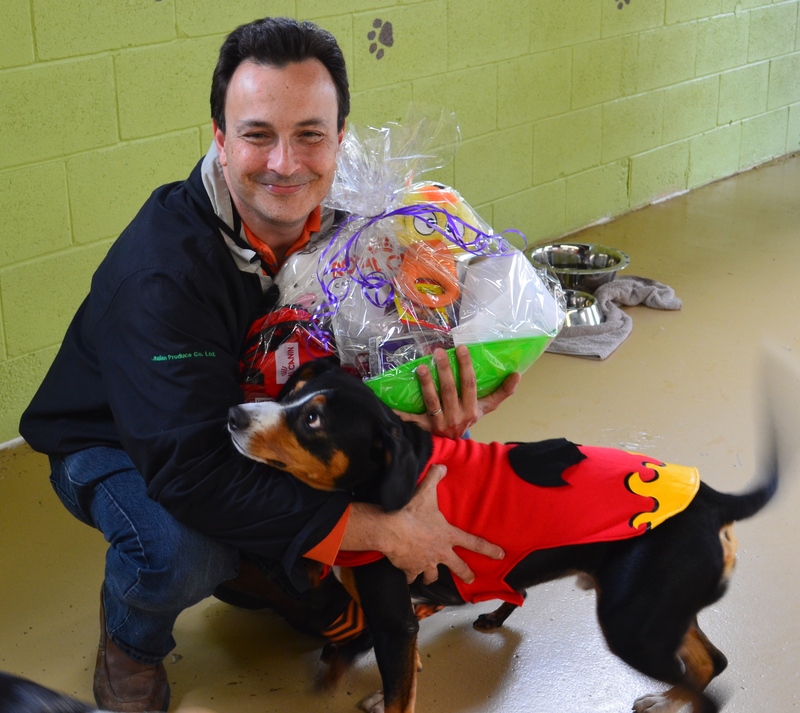 With Howl-o-ween just around the corner (exactly 15 days away), why not share this year’s festivity by including your furry little friend. 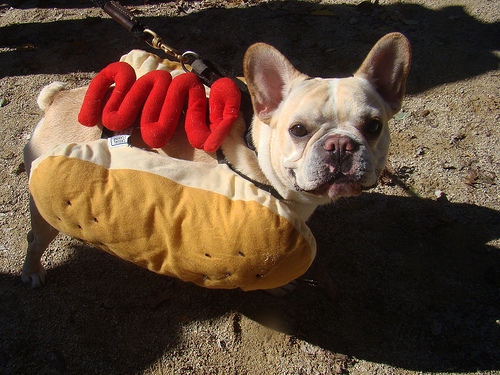 Many pet owners involve their pampered pooches each year by creating unique costumes that are fun and easy for the dog to wear. Dogs are becoming a part of this yearly tradition with contests, events, and even large parades dedicated to dogs and their costumes. Yes, I am one of those people who find it cute and adorable to dress up my pet, it’s only for one day. And your dog will love the attention! As for those who prefer to make your own costumes and enjoy DIY projects, take a look at How to make your own dog costume. This can be a great way to create inexpensive costumes for your pet. If you have any suggestions or great pet costume ideas please comment!